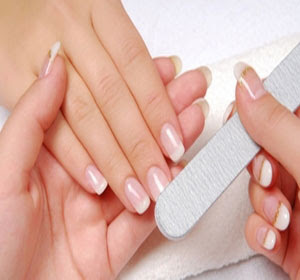 Do you want to have beautiful nails that attract attention? You do not have to go to salon for that. We can treat you at home. Here are the tips. 1. Always precedence pedicure, because paint toenails take longer to dry. 2. Nail clippers and nail reserving a little for not grow into the skin. Shape your nails with a miser. 3. Soak feet in warm water for 10 minutes, then gently rub the foot that feels rough with a small brush. 4. Apply a base coat of the nail. Then, continue with two coats of nail polish. Choose neutral colors like beige and pink colors to suit or dress will you wear. 1. Nail clippers and nail reserving a little for not grow into the skin. Shape your nails with a miser. 2. Apply a base coat of the nail. Then, continue with two coats of nail polish. Use the same color as paint toenails. 3. Cover with a topcoat. Done!